Is your current home starting to feel a little cramped? Or maybe you’ve gotten a job promotion and you want a home with more features or in a better location? Whatever the reason you have for upsizing, it can be hard trying to figure out what steps to take to get you where you want to be. Finding a local agent to have a chat to can help put you on the right path. They might be able to answer any of your specific concerns or point you in the right direction to help you on your property journey. But before you give your local real estate agent a call here are some steps you might want to go through. Have a good think about exactly what it is you want from a new home – perhaps you would like to have more space, extra rooms or a better location. Make a list of all of the things you would like in a new home to help solidify your goals. This may also help you evaluate whether you need to move in the first place or whether you would be better off renovating your current home to achieve a larger living space. How are you going to finance your new home? Do you need to sell your current home, or perhaps you’re going to keep it as a rental property? If you plan on selling your current home to help pay for your new one then you are going to have to consider how much your property is likely to sell for and how much will be left over after you pay off your current mortgage. Don’t forget to take into account other fees involved with buying and moving homes such as stamp duty, legal fees or moving costs. Do your sums to help you determine how much you will have left after the sale to fund your new home. Whether you intend to sell your current home, or turn it into an investment property, you are going to want to maximise its value as much as you can. Aim to do renovations that will provide the most bang for buck such as painting or landscaping. Before doing anything ask yourself if it will help increase the value of your property if you do it. It may be worth chatting to a local agent before undertaking any renovations to find out what, if any, changes will be worth the cost. In a perfect world you would be able to sell your current property and find a new one the next day, but in reality it can be hard for a sale and a purchase to line up seamlessly. 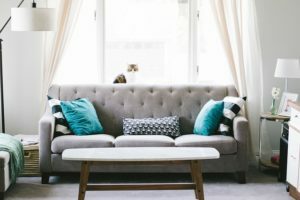 You should prepare yourself for the possibility that you may need to find interim accommodation if you decide to sell first and then purchase. If you purchase a new home before buying then you may need to utilise bridging finance or risk being under pressure to sell quickly. For any further advice about upsizing contact the Professionals Triwest Real Estate team.